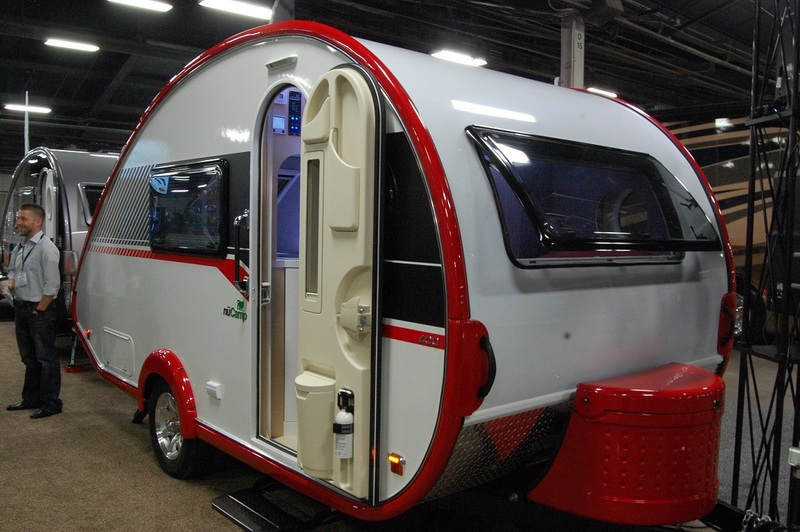 –According to Director of New Business Development for Little Guy Worldwide, Dylan DeHoff, the much anticipated T@B “Clamshell” model should be in production before the end of 2012. 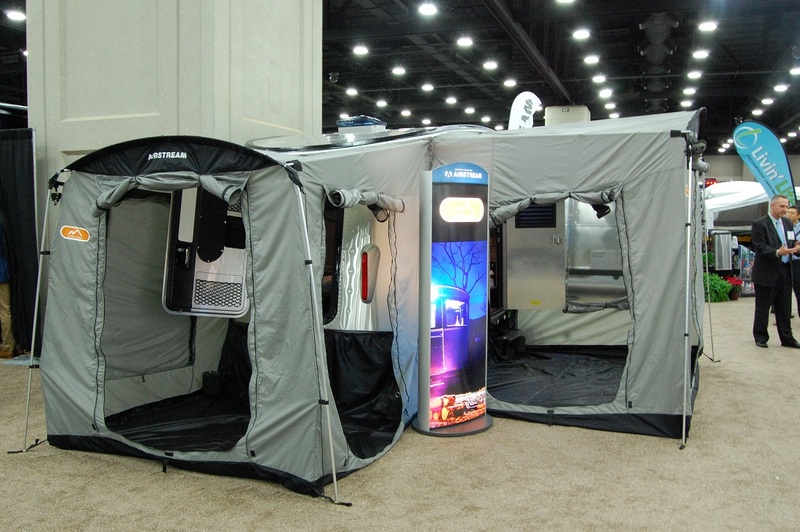 The Clamshell will be at the 2012 RVIA dealers show in Louisville, KY in November. 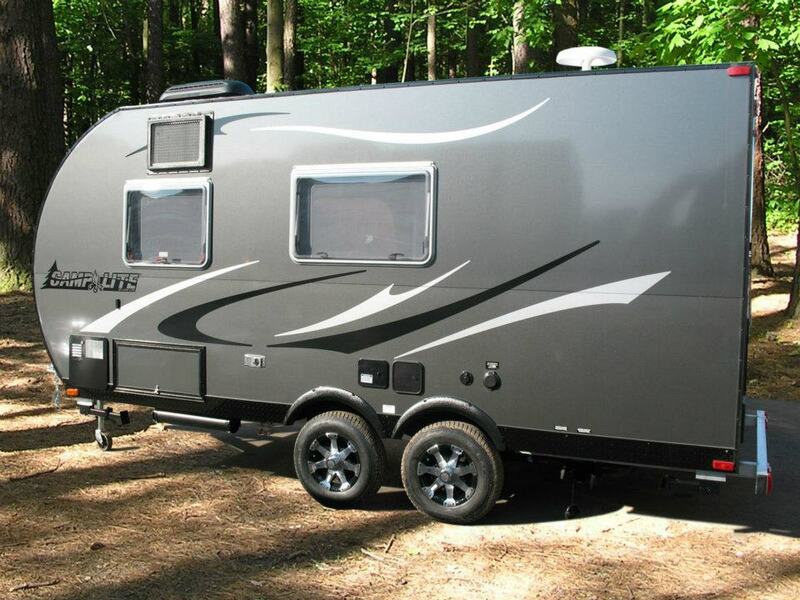 –Another trailer scheduled for a come-back, the Hi-Lo, has been slowed. 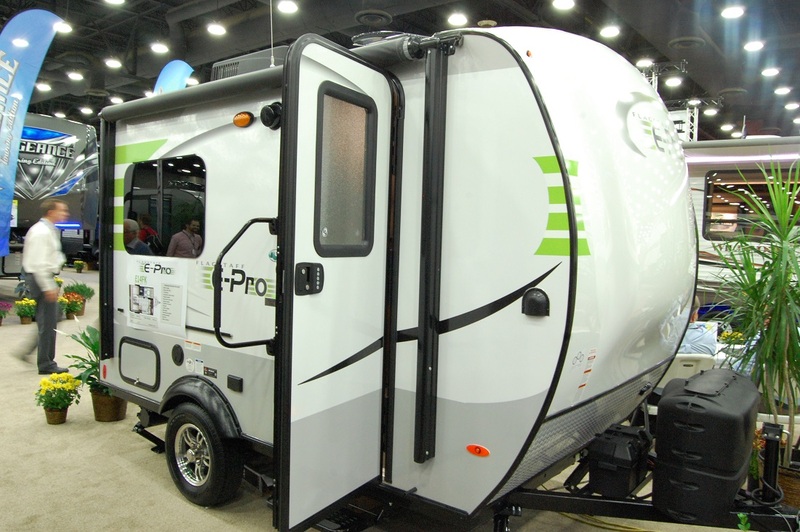 According to Hi-Lo’s Bill Kerola, “Progress has been much much slower then I anticipated.” If plans stay on course, prototypes should be out sometime in the first quarter of 2013. 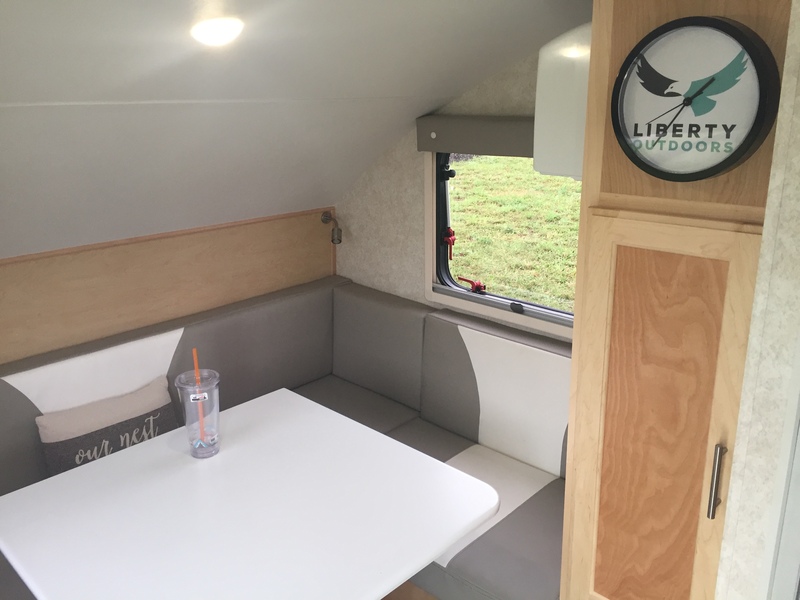 —Livin Lite’s Scott Tuttle tells us the Camp Lite side of things is expanding on their longest model (16′) with a new 21′ model with slide outs. 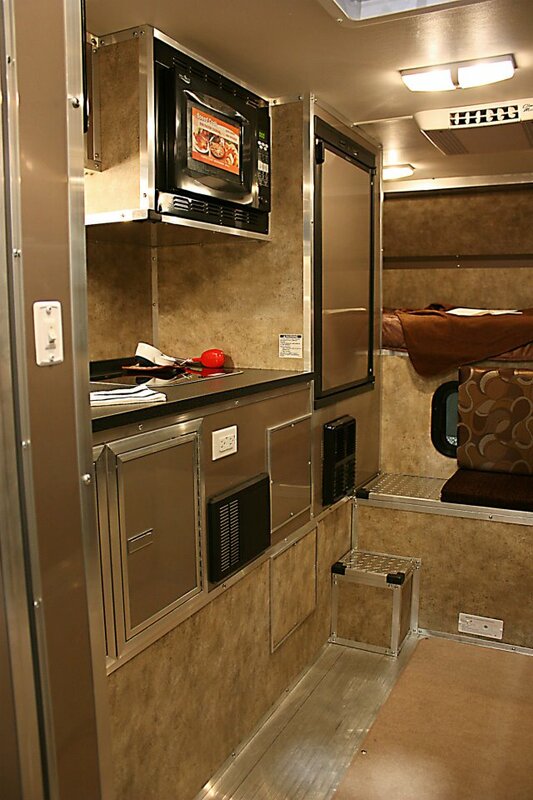 The slides can be in the form of a U-shaped dinette or a sofa bed. 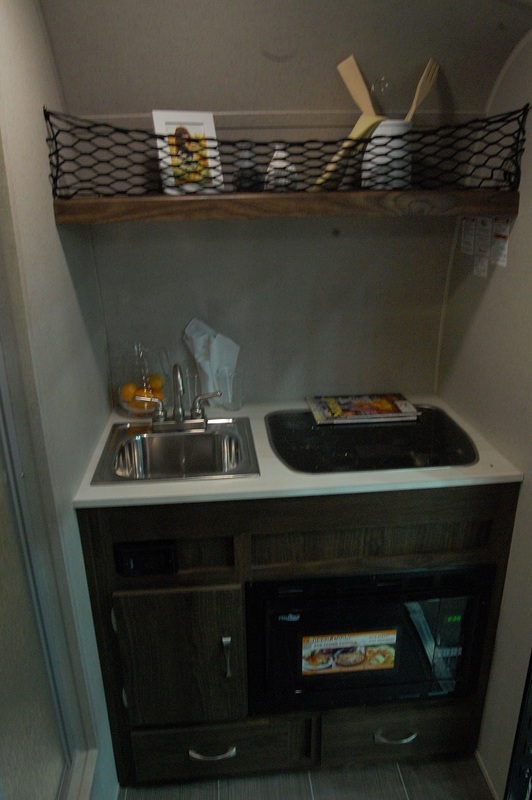 The extra 5′ in length creates larger kitchen areas and bathrooms in the Camp Lite fleet. The new 21 footers will weigh in around 3200 lbs. 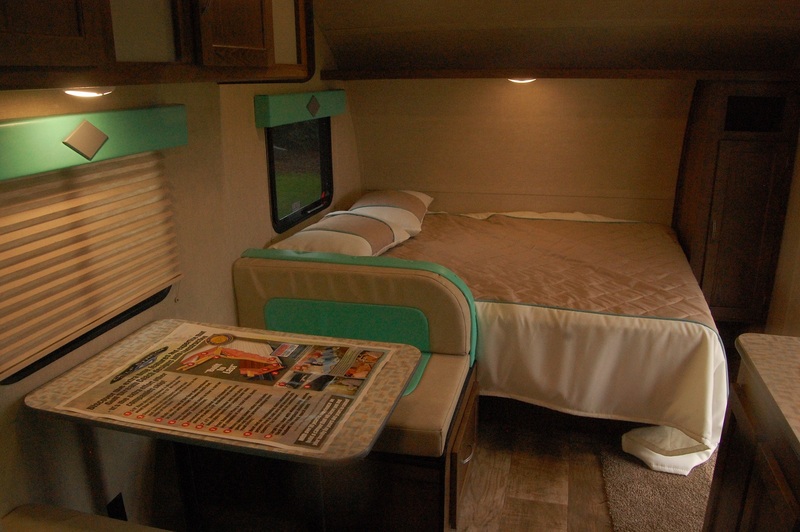 –Larry Drake’s Teal Camper concept appears to ready for take-off. 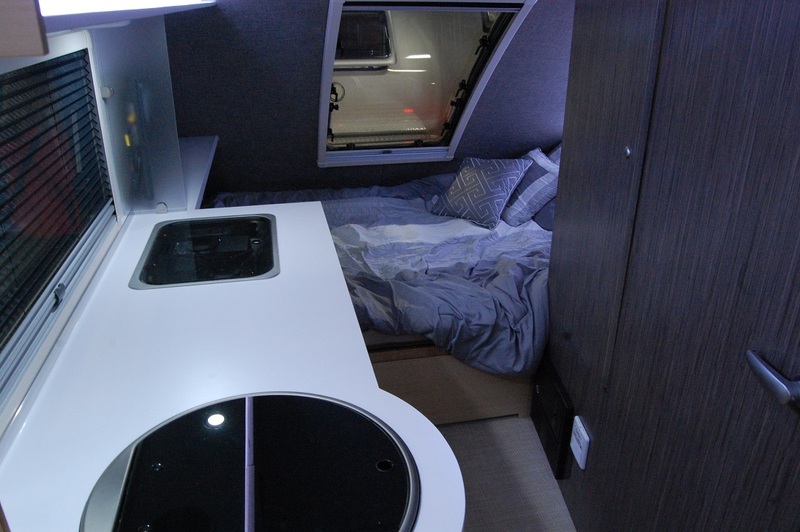 He has teamed with Rocky Mountain Innosphere to formulate a plan that will see producton of his modular camper design by the end of this year. 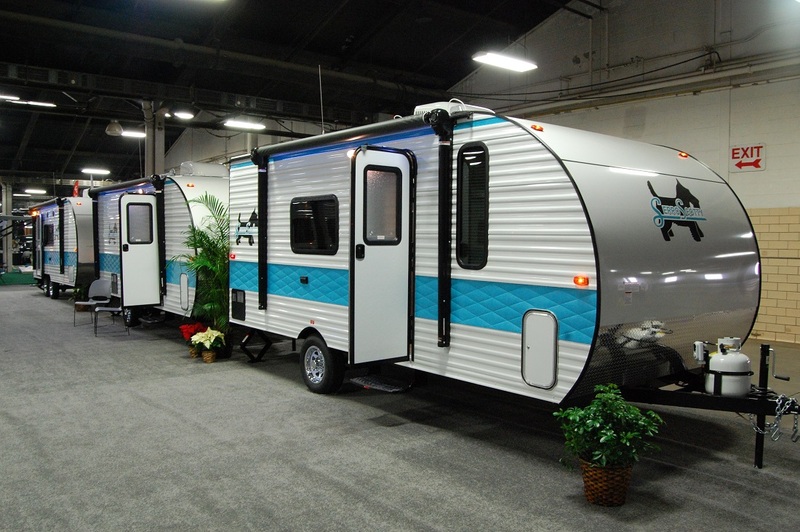 Larry tells us, “It is an exciting time and all involved have seen a real acceptance for the Teal Camper concept. 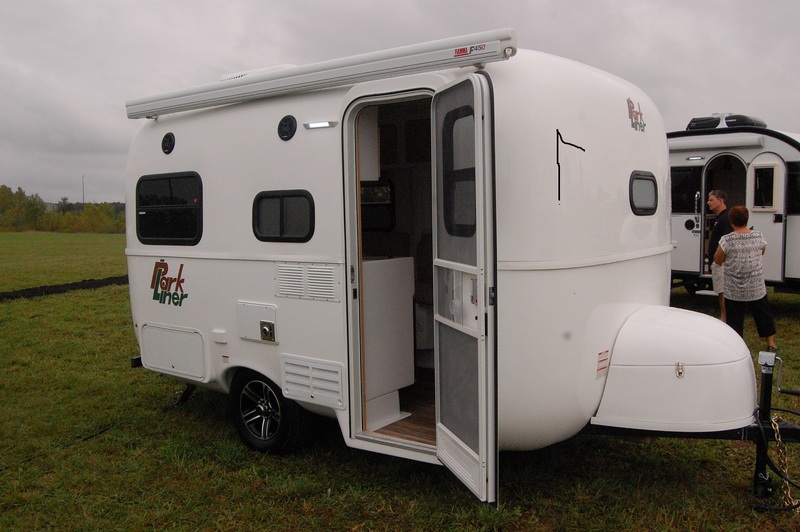 We are anxious to finally get production units to the hundreds of individuals who have expressed a desire to own one.” The production model will also introduce some yet-to-be released improvements. 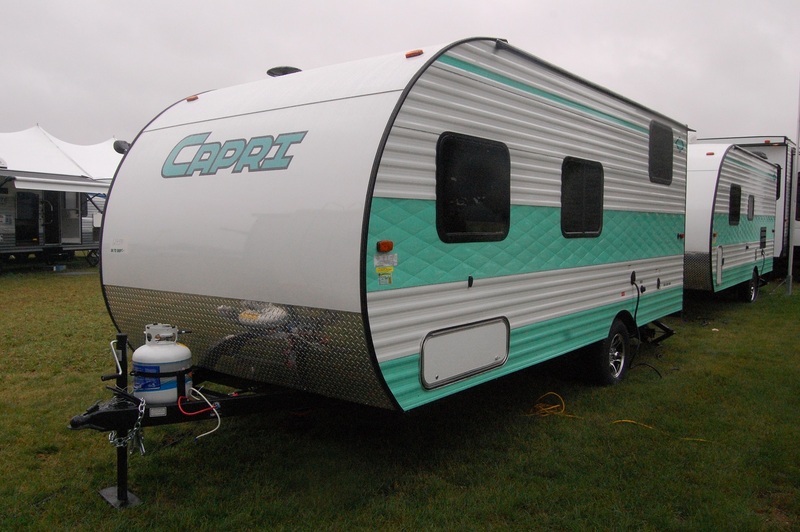 The Teal Camper website will also be updated with an online store within the next 60 days. 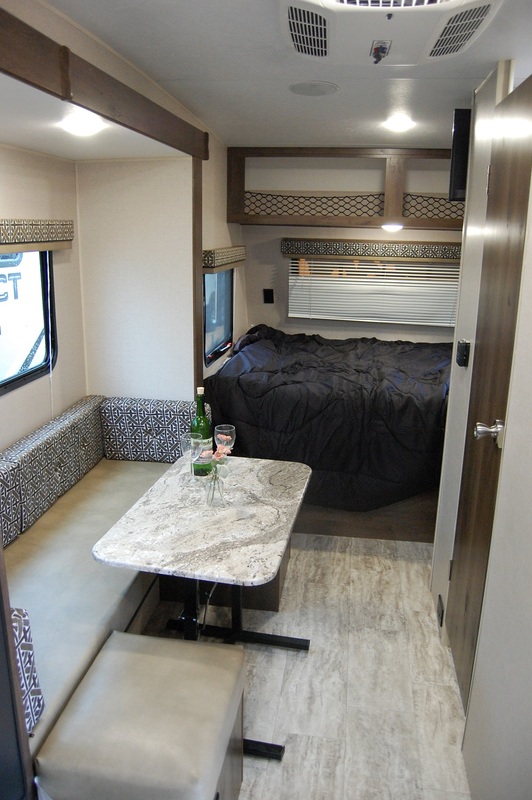 Wakarusa, Indiana based Livin Lite RV is quickly making its way to the top of the lightweight travel trailer segment of the RV industry. The proof is in the numbers. 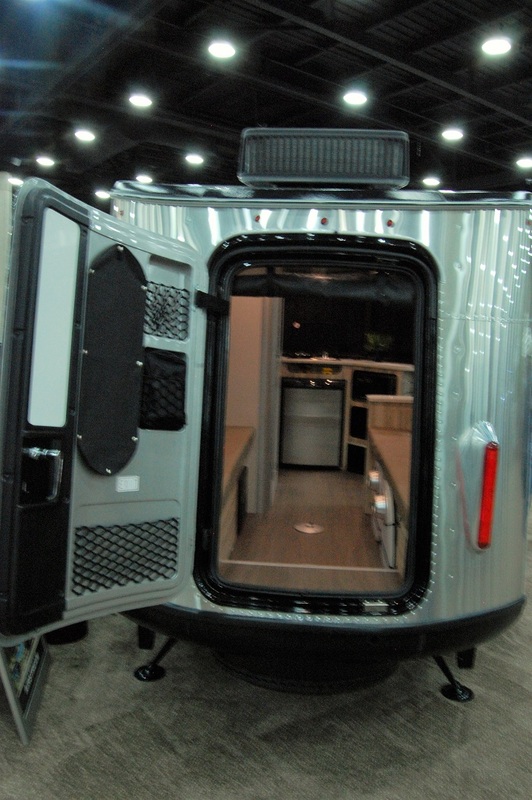 A look at various Google searches will find that Camp Lite is #1 within several search terms, covering everything that includes the words “aluminum camper”, “ultra lightweight”, “lightweight aluminum trailer”, and any combination of those words you could come up with. Nearly 20 combinations of those words will bring up Livin Lite as the first search result. And all this has been done without paying for the top spot on Google as many companies are known to do. 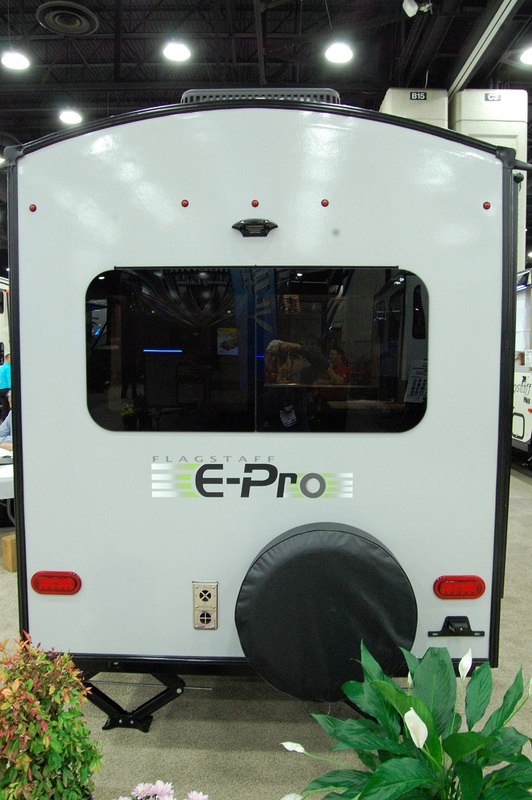 Livin Lite president Scott Tuttle credits the Camp Lite travel trailer line with increased sales of late. 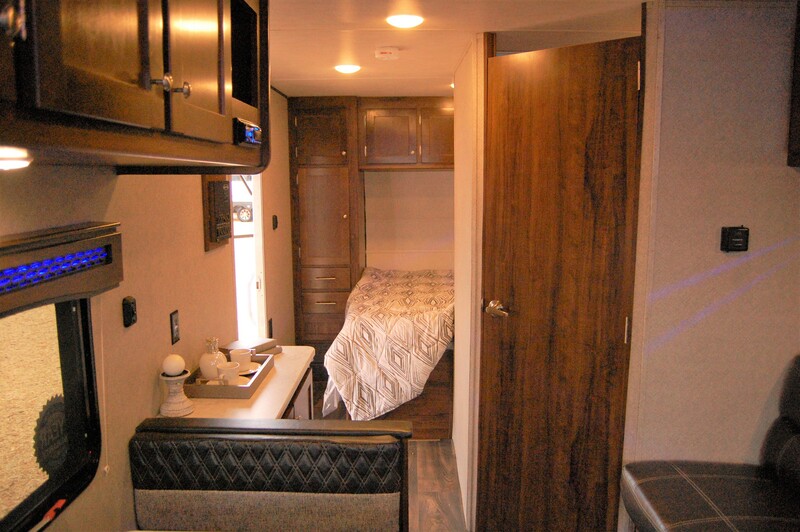 “Consumers are loving our new round front end and wood “look” interiors. 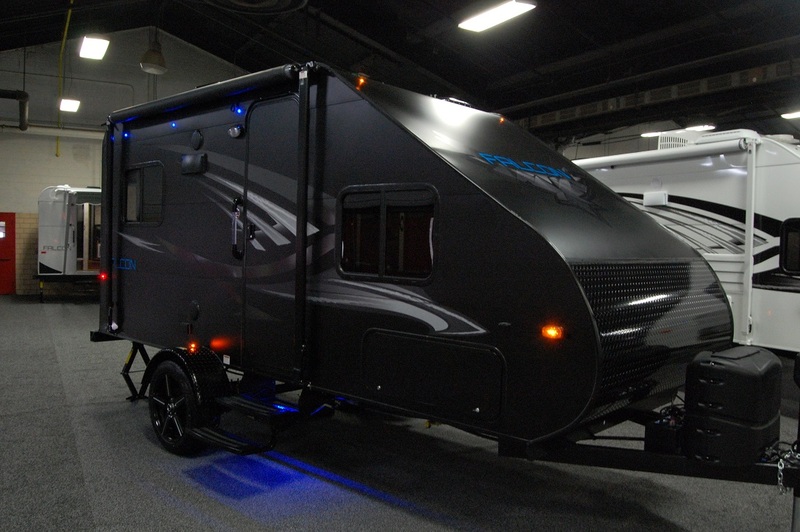 Our exterior colors are so hot right now – especially since we have been fine tuning our “black-out” package with all black trim and diamond plate, black exterior appliance doors and grills, and black air conditioning on the roof”. 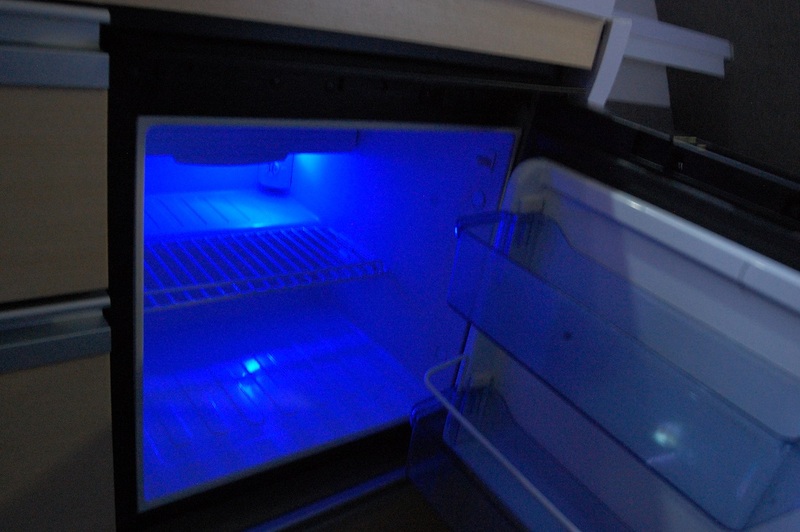 For more info on Livin Lite, visit their web site at http://livinlite.com. 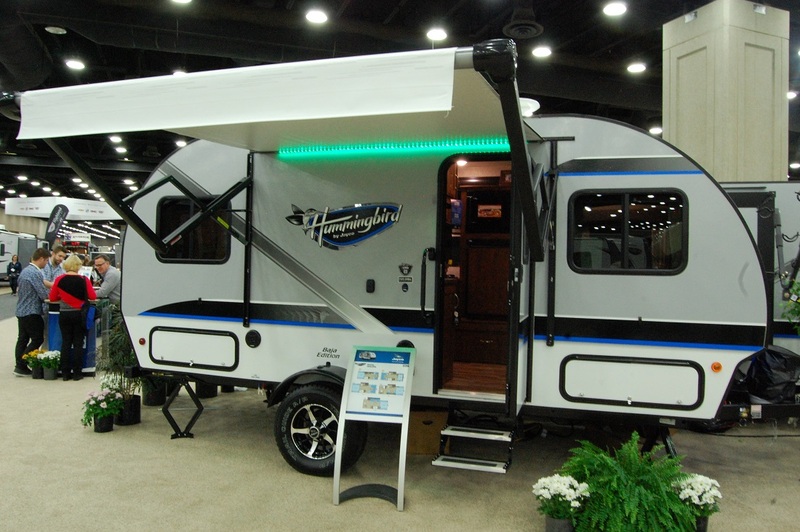 Now that I’ve reviewed a few of the smallish trailers I encountered at the RVIA show, one company stood out to me above the rest. 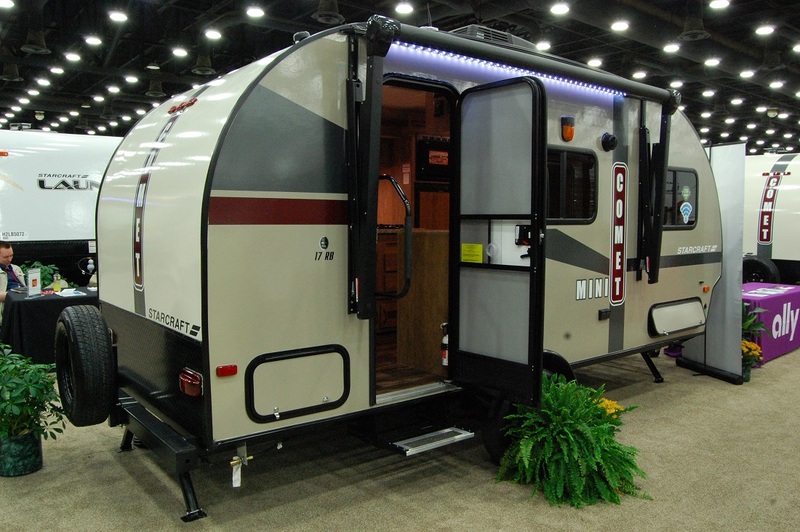 Livin Lite’s Camp Lite series was the star of the show in my book. After spotlighting them in October, I was interested in seeing one up close & personal. 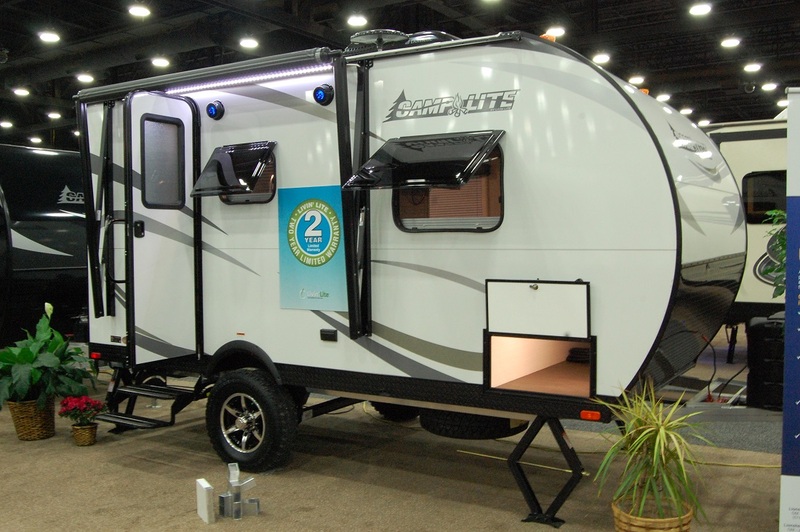 The You Tube video introducing the world to the Camp Lite series makes it look like a nice, solid unit with a super light build. 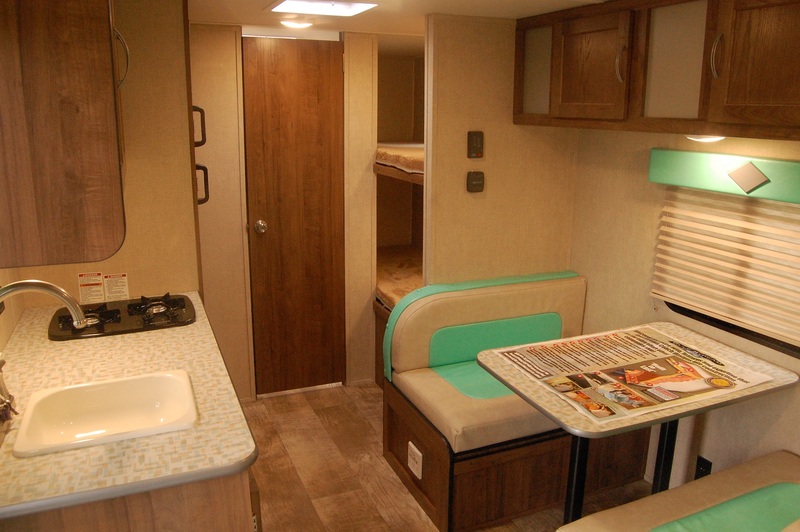 Upon inspection of all the units Livin Lite brought to Louisville, I have to say that the Camp Lite exceeded my expectations, which were already rather high. 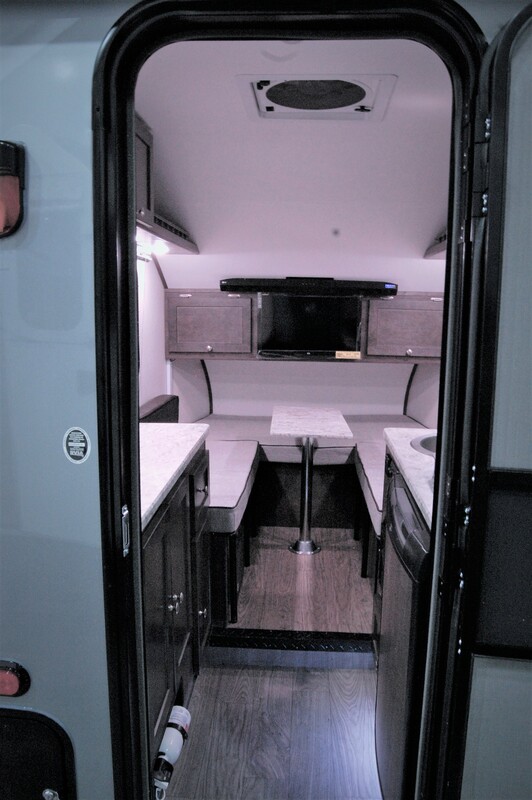 I can’t say enough good things about the build quality of their trailers. 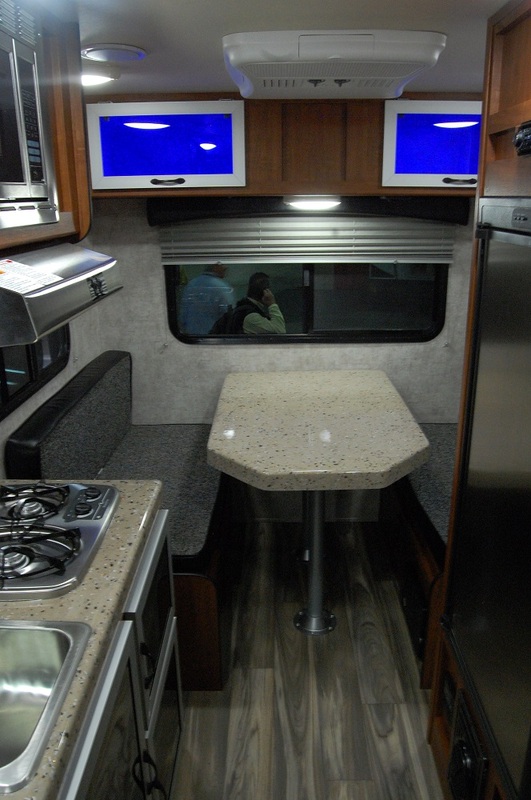 Everything was just first class from fit & finish to the quality of materials used. As a “car guy” in a previous life, I’ve done my share of car judging. If the Camp Lites were in a judged trailer show, it would’ve been difficult to find any flaws to mark down on my score card. 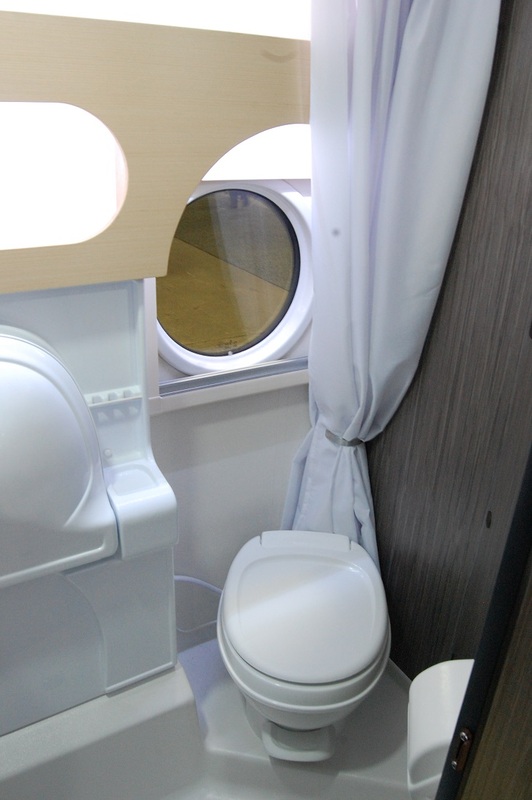 This was also the debut of the optional “orbit” nose that will be offered. This is a nice little upgrade for someone wanting a rounded front, compared to having the nose with the standard angles. 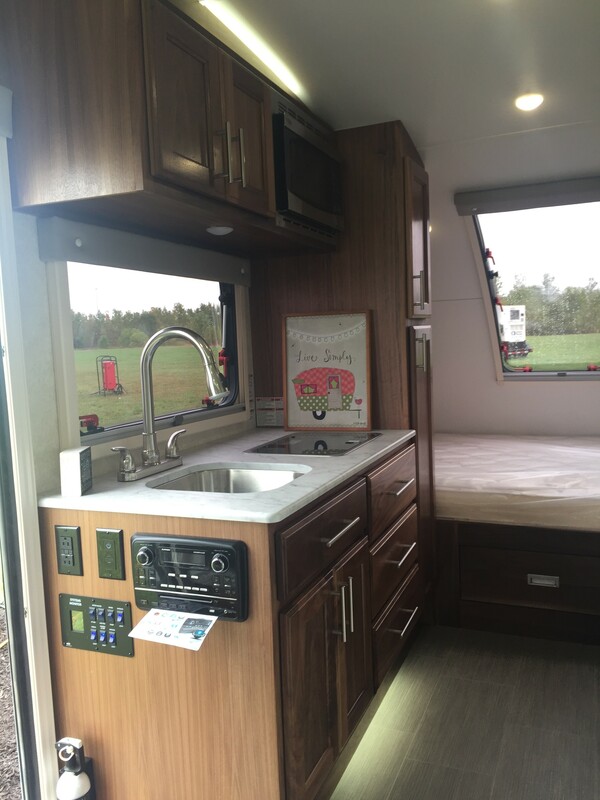 Another new option is a wood grain look to the interior. 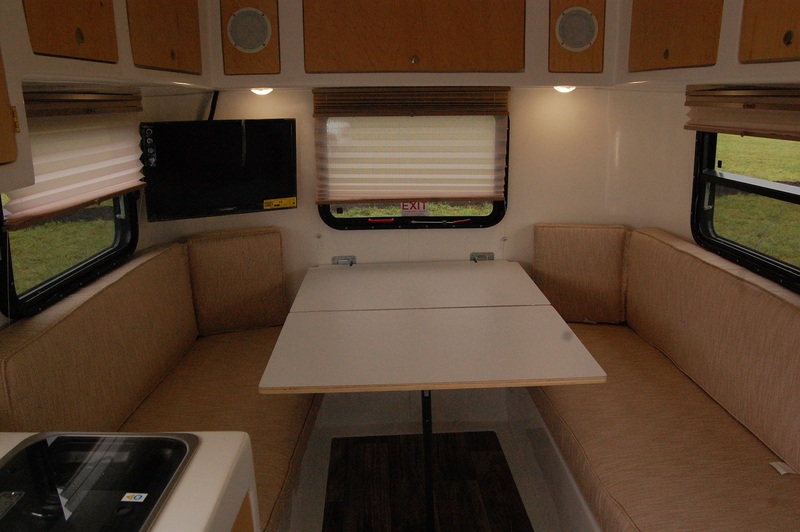 This tends to tone down Camp Lite’s traditional utilitarian look of its interior. 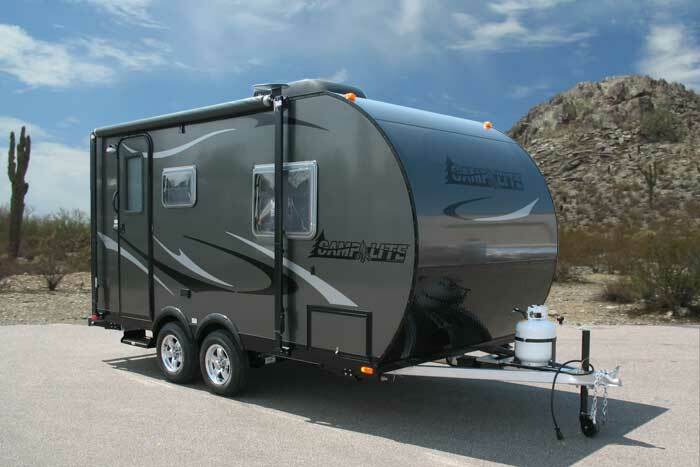 Livin Lite isn’t the biggest trailer manufacturer out there, but they’re far from the smallest. 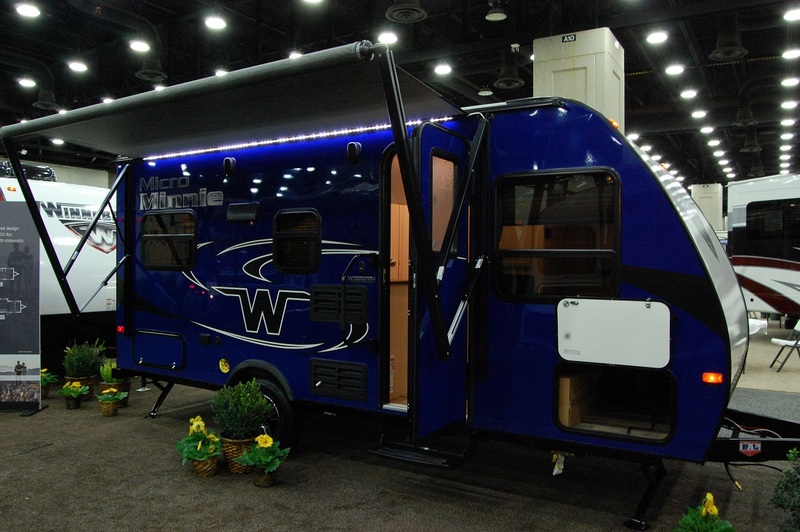 All the “big boys” had a small trailer of some sort at the show in Louisville, and I looked at them all. I can honestly say that Camp Lite was better than most of them, yet not one of them was better than the Camp Lite. 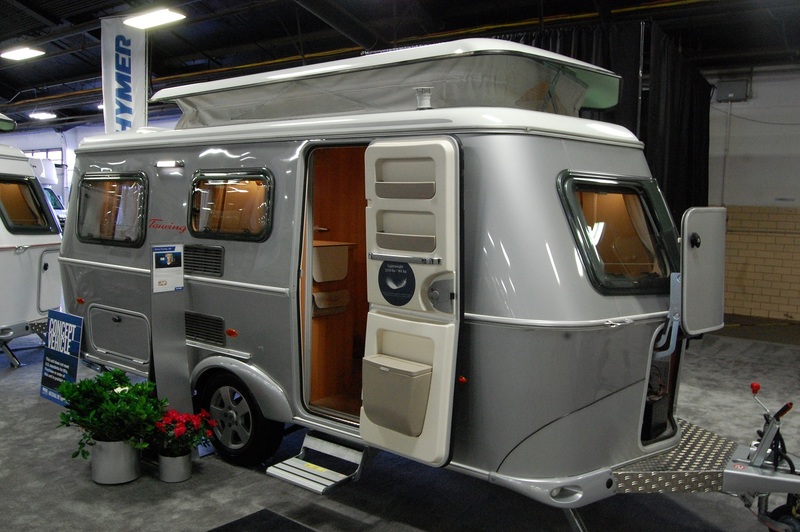 And that includes anything Airstream or Forest River had to offer. 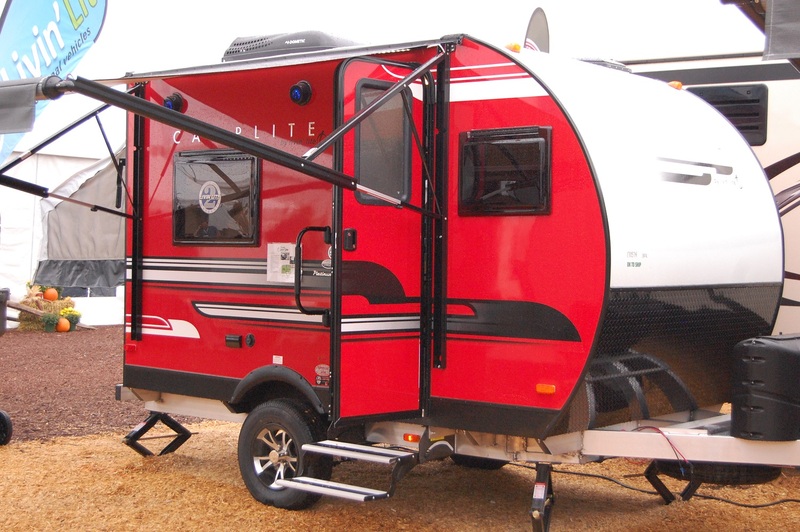 Camp Lite isn’t the least expensive trailer you’re bound to find, but given the fact that it’s made of aluminum and composites and is 98% recyclable, it could literally last forever. 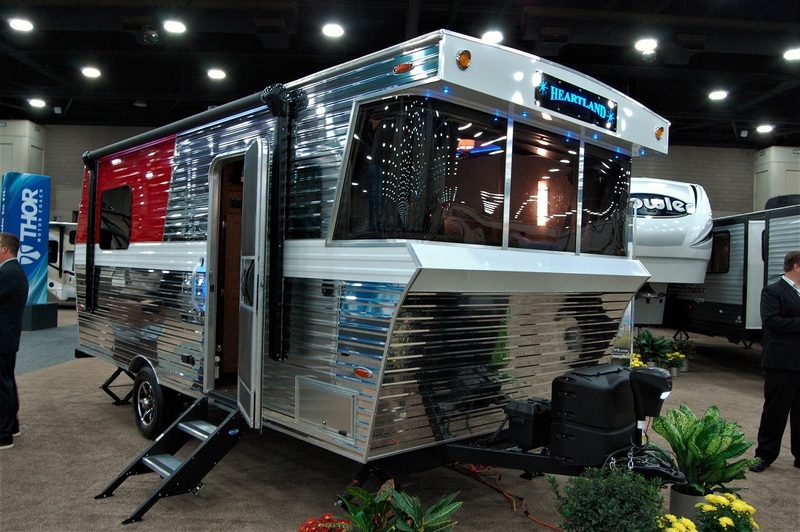 So you may pay a little more up front, but it could easily be the only trailer you’d ever have to buy. 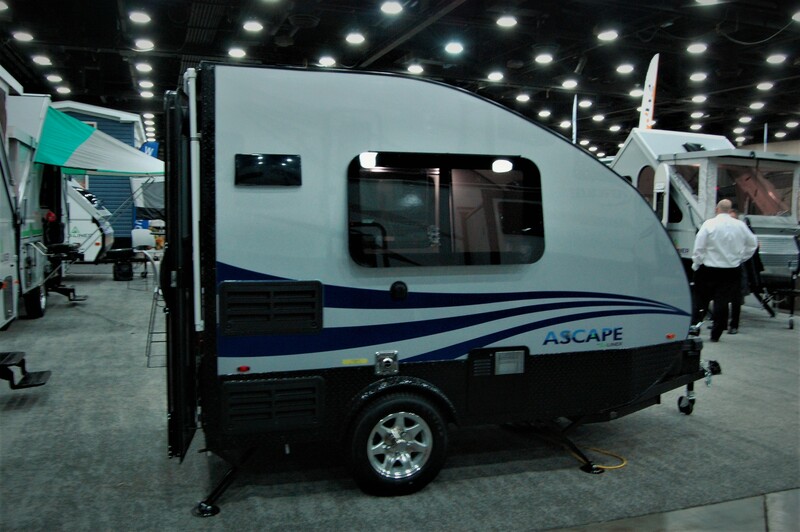 So that brings to a close my thoughts on the field of small trailers at the 49th National RV Trade Show. 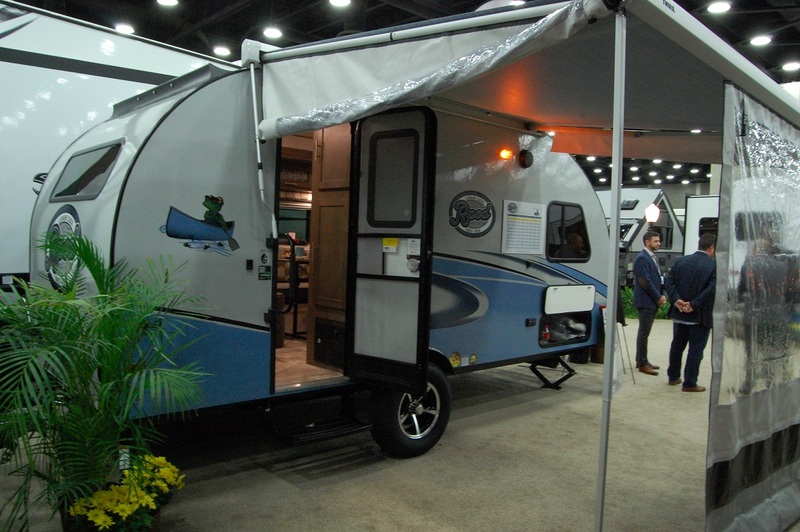 A big thank you to Courtney Robey, Public Relations Manager of the RVIA, for extending the offer to me to attend so I could pass on my thoughts & opinions for the readers of The Small Trailer Enthusiast. 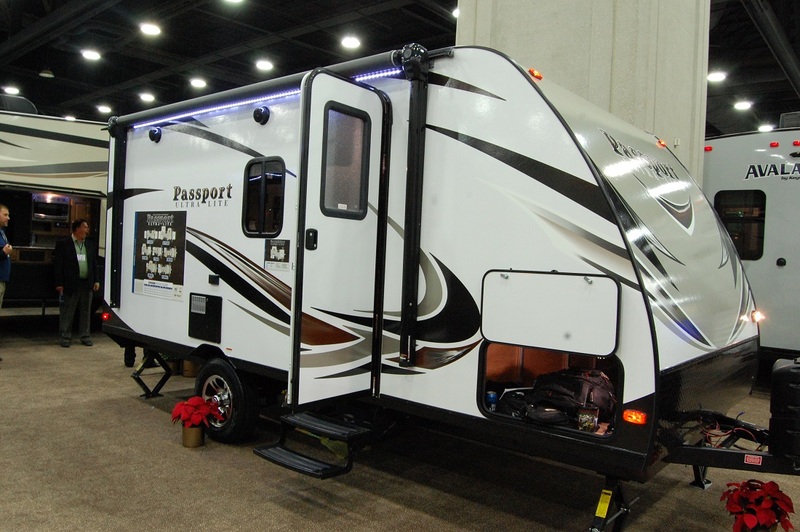 Reports show attendance for this year’s show was down 6%, but based on the millions of dollars of trailers, 5th wheels, and motor homes on display, the RV industry in this country is alive and well. 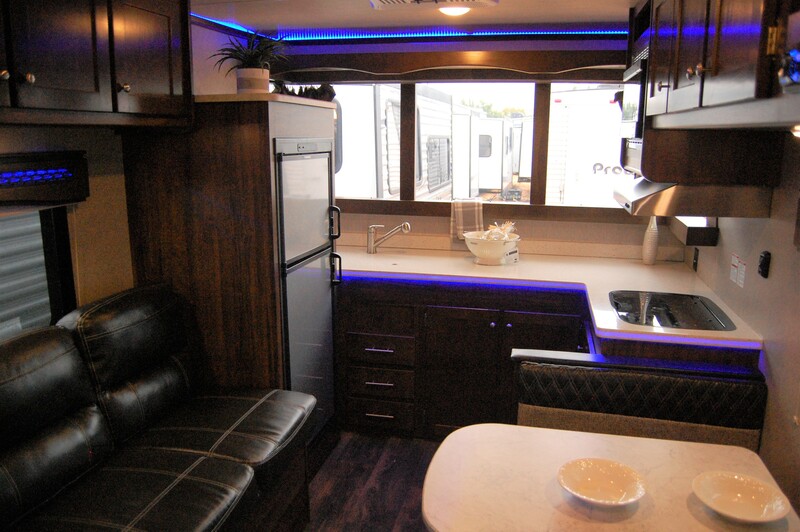 In just eight short years, Livin’ Lite RV President Scott Tuttle has not only formed two RV manufacturers, but he’s also created a line of travel trailers that is one of the most structurally sound you will find anywhere in the industry. 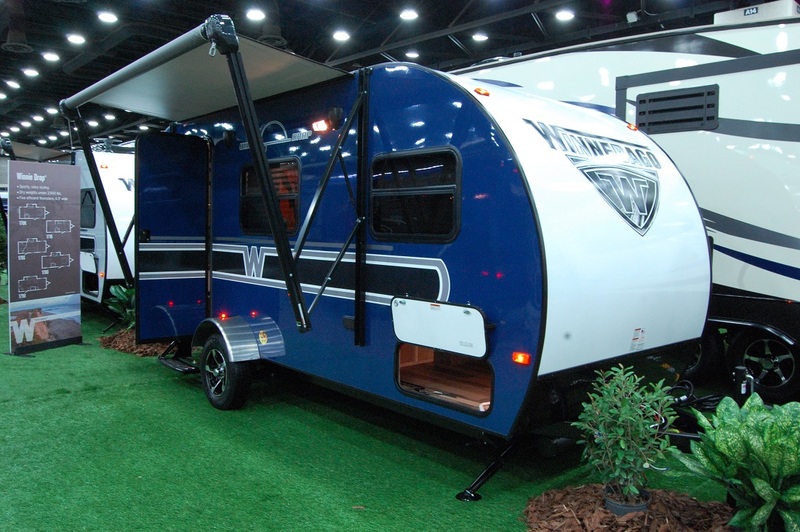 Livin’ Lite started its life as an “automotive camper” manufacturer. 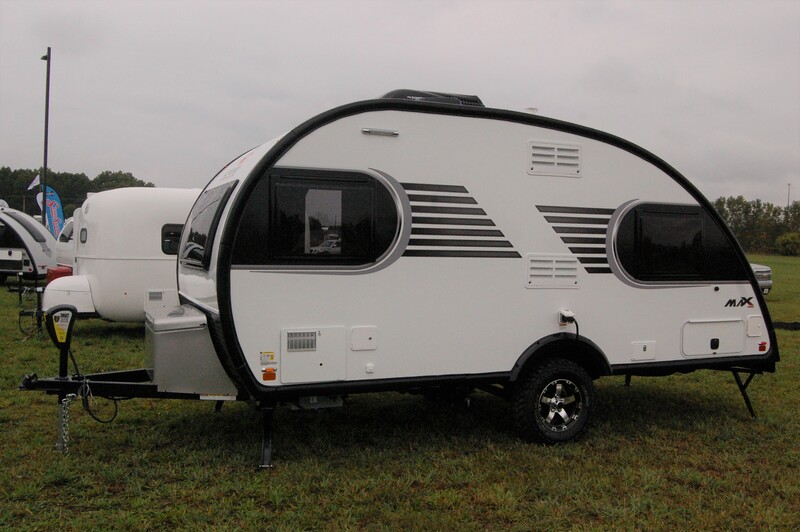 Dealers had their fill of traditional pop-up campers, due to a typical rash of warranty claims often associated with pop-ups. 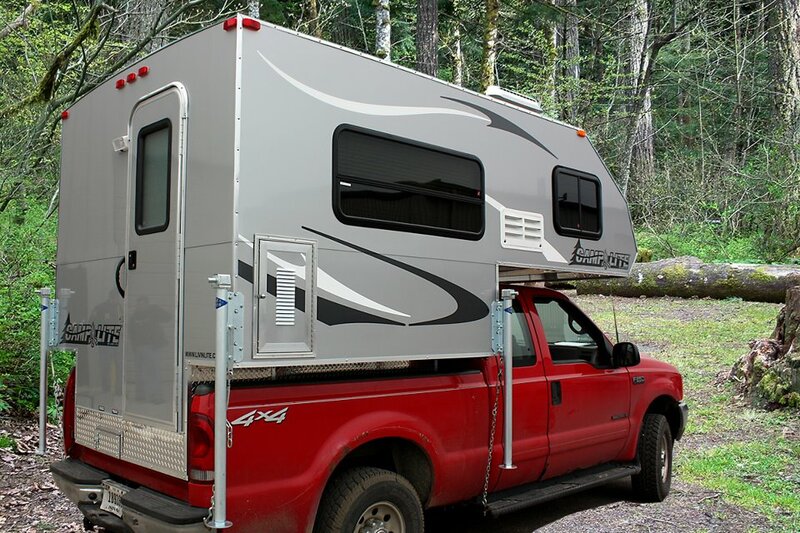 It was because of this somewhat hostile environment Tuttle decided to build a cutting edge tent camper that would be virtually warranty free, could be towed by virtually any small car, and made of all aluminum and composites. 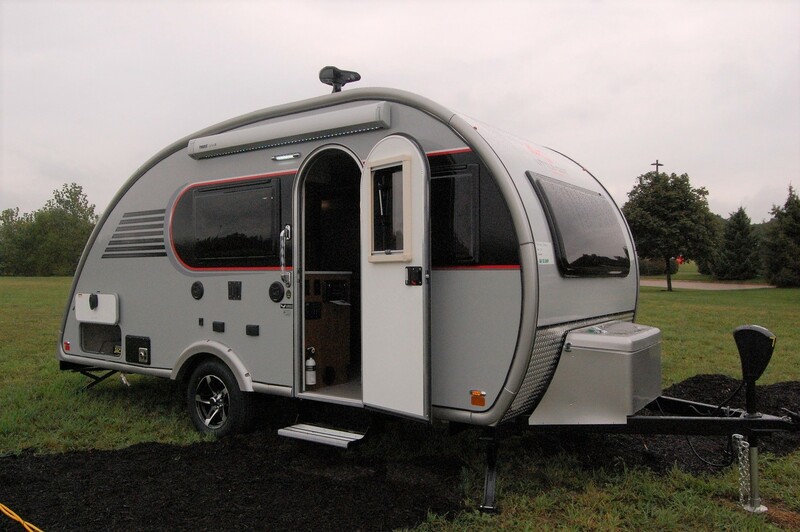 The end result was the Quick Silver automotive camper. 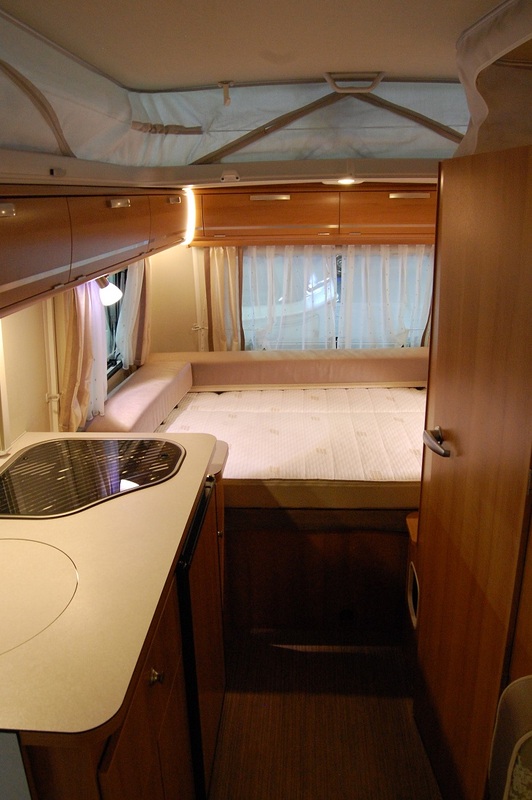 Nine years after its initial production, its still nearly warranty free. 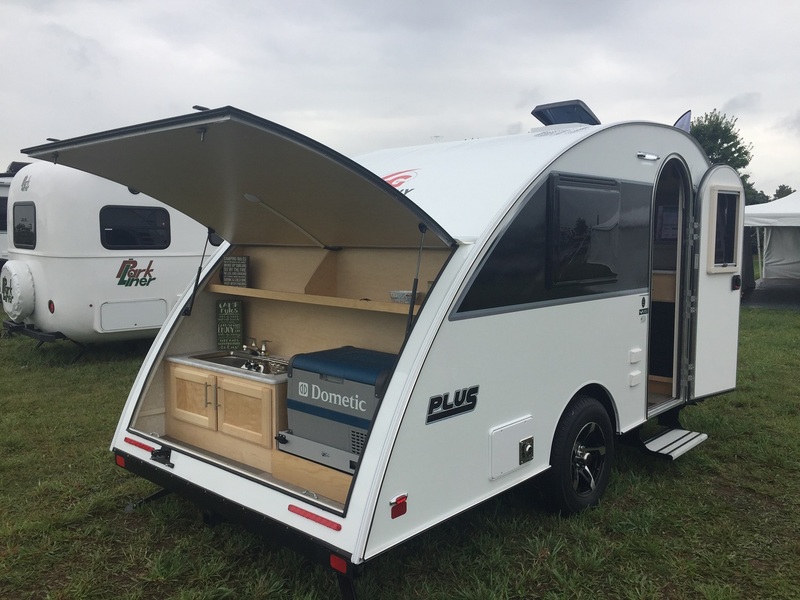 “In the beginning, most U.S. dealers were not interested in even talking to us, as they said, “We don’t want any more pop-ups”, says Tuttle. “In fact, they pretty much despised the thought of carrying those warranty plagued units ever again. 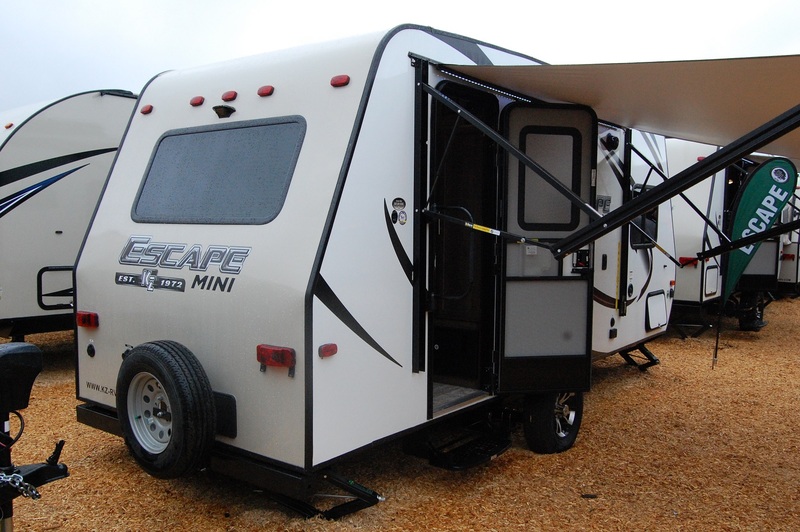 That is why I coined the term “Automotive Camper”, because we were not in any way, shape, or form, a “pop-up” like they used to know. We were completely different. 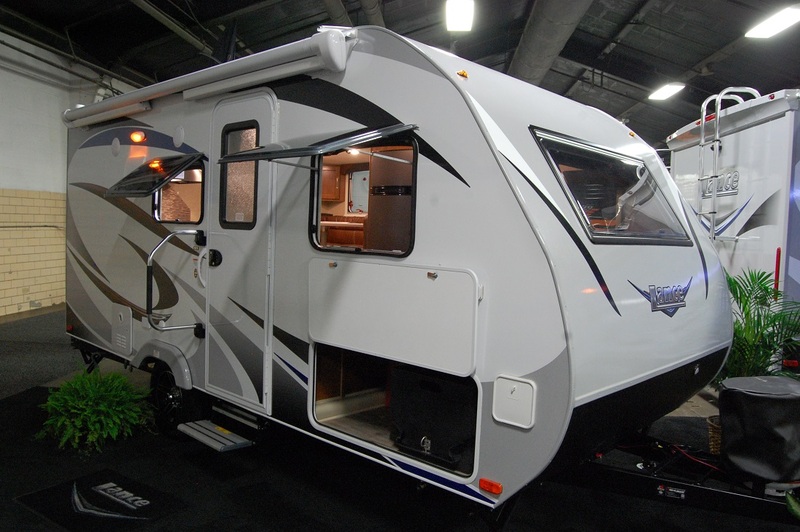 In the early years, most of our production was for Canada, as that market was much more receptive to our concept and understood that there was quite a market in young families who owned cars and minivans.” Just a year after starting Livin’ Lite, Tuttle was part of a group that started Heartland RV, one of the bigger manufacturers in the industry today. 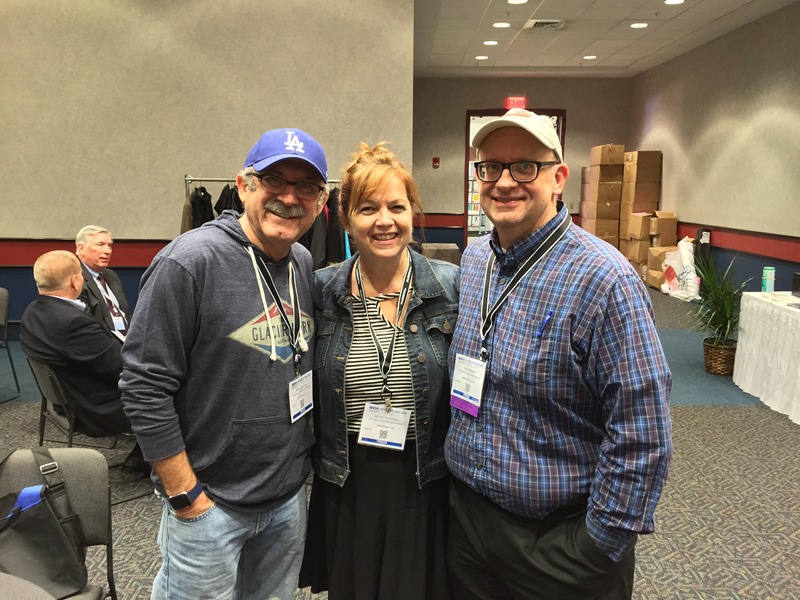 He still had a stake in Livin’ Lite, but had a friend running the business. 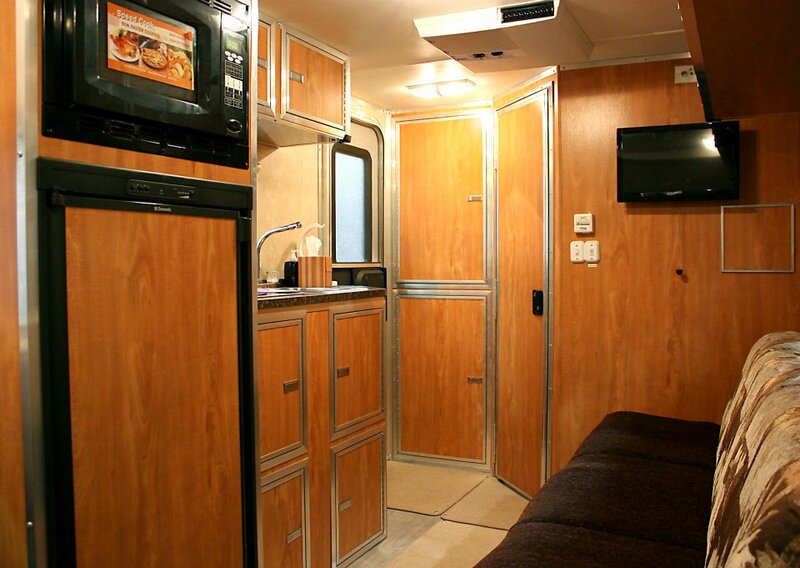 In 2008, he sold his interest in Heartland to focus his attention on Livin’ Lite. 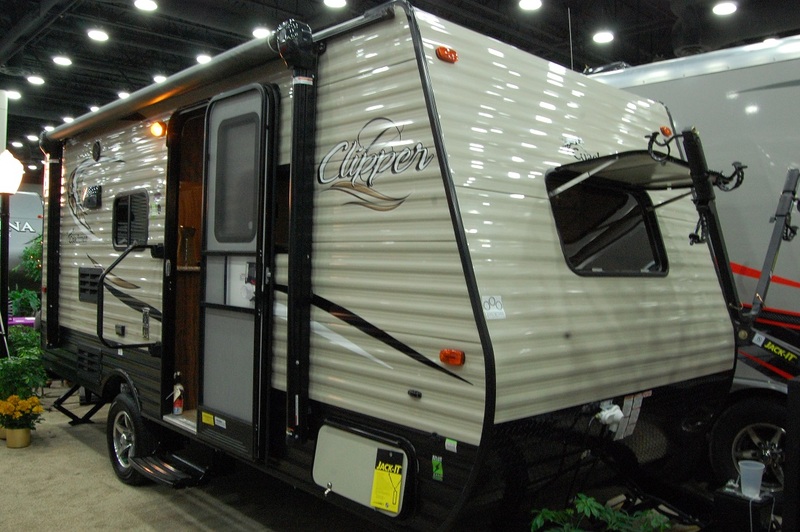 It was at that point when they introduced a travel trailer to their line-up, called the Camp Lite. 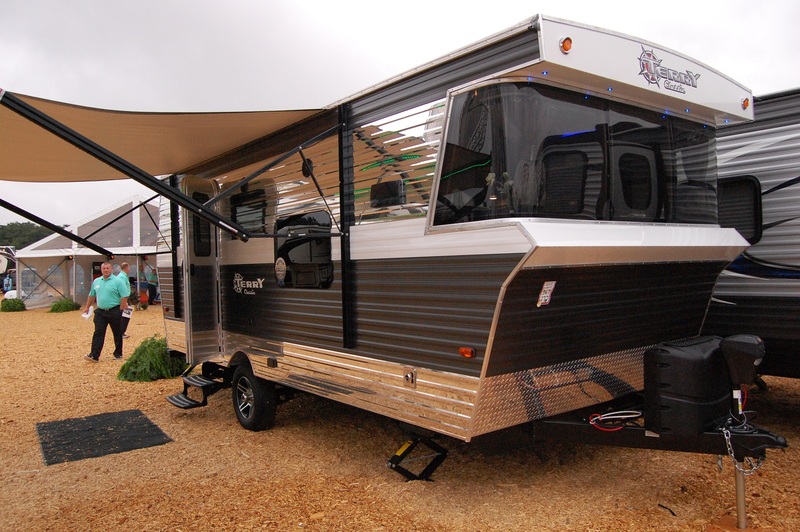 Built with the same structural fortitude as the Quick Silver, the Camp Lite boasts a welded aluminum frame, aluminum sidewalls, and aluminum floor decking. 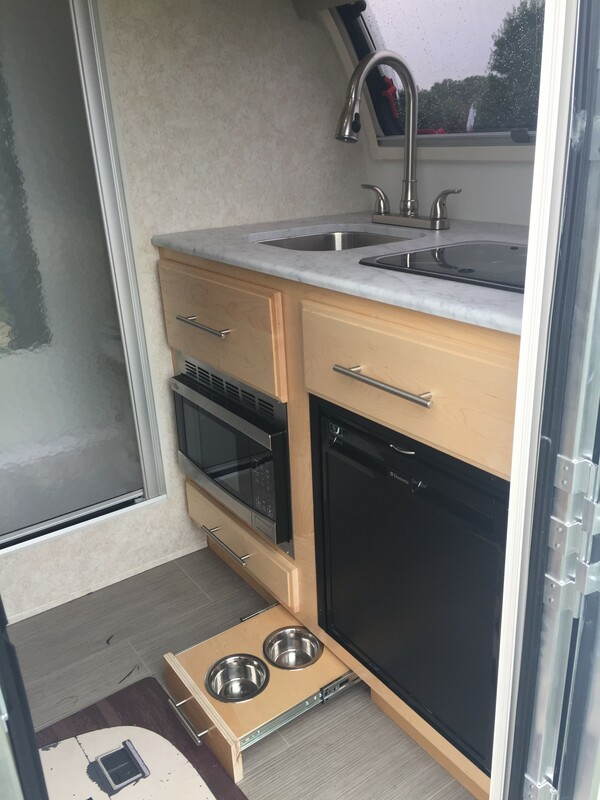 The aluminum theme is also present on the inside, with aluminum framed cabinets which are skinned in…you guessed it…aluminum. 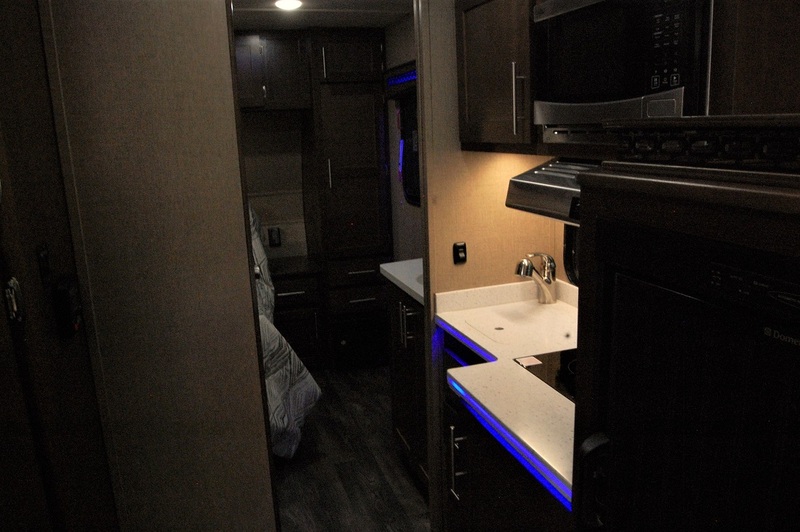 As is the case with all of the Livin’ Lite lines, they offer several different color options to choose from, including some in metallic. 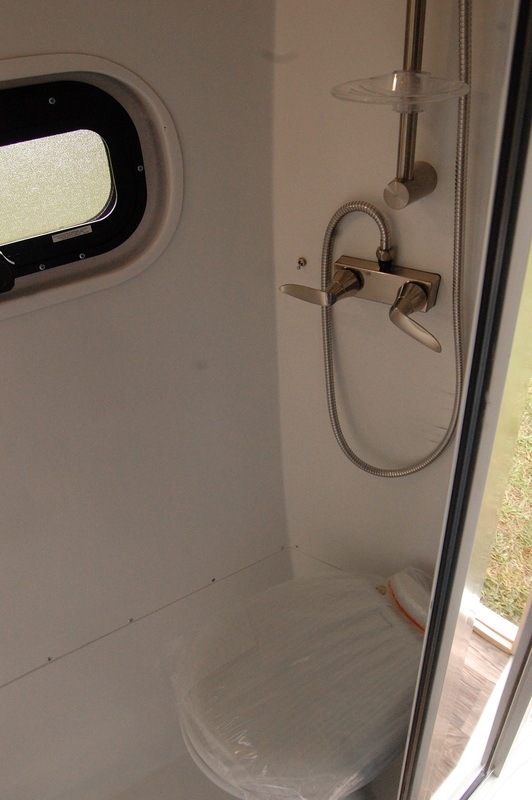 If that’s not enough, they can even customize colors to suit your tastes.